Get familiar with the exam pattern & syllabus: The recommended books for NEET 2019 preparation is NCERT. They are the best study material students should be focussing on. Start from scratch and focus on clearing the concepts of all the subjects i.e. Physics, Chemistry, and Biology. Try to cover important topics first so that you can dedicate enough time for revision later. Also, get familiar with the NEET exam pattern before beginning your prep. 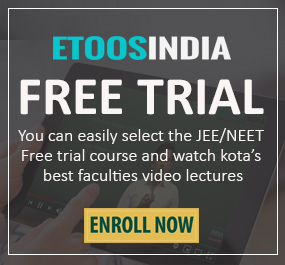 You may also read NEET Entrance exam syllabus. Formulate a realistic time-table & follow it sincerely: A lot of students often prepare timetable but do not follow it religiously. This highly affects their exam preparation resulting in backlogs and incompletion of syllabus. Hence, students should make a practical as well as well-structured time-table which matches their needs. It should include the number of study hours per day, how much time should be devoted to a particular subject and time for daily activities to relax your mind. Get familiar with the computer: The National Testing Agency will be conducting the entire exam in online mode. Hence, students are advised to know the basic terminologies of using a computer and how things work online. Appear for mock tests: One of the most relevant NEET toppers tips is to solve mock tests. Why? They help prepare you for the main exam day & give you a real feel of sitting in the actual exam. This will tend to reduce stress and anxiety which students face during the main day and aren’t able to perform well because of this. Take our online test series and assess your performance with the detailed report you get after each test. Get to know on which sections or topics you need to put in more efforts! Keep yourself updated with the exam news: Now since NTA will be the exam conducting authority for NEET 2019 students should keep themselves updated with the NEET news and announcements. This will help students develop a strategy in case of any changes. 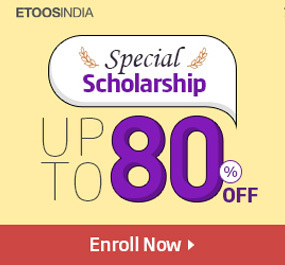 Follow Etoos blog for regular updates on entrance exam news. Hope the aforementioned NEET 2019 preparation tips help you crack this medical entrance exam! Good luck to all aspiring candidates. Feel free to drop in a comment in the below section in case of queries.